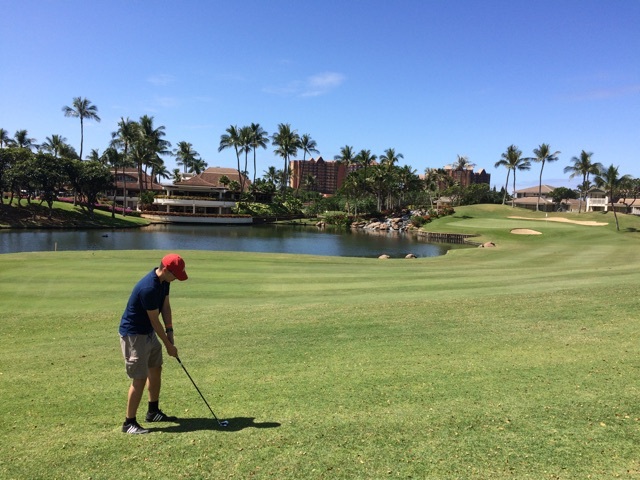 – I reserved a free round of golf ($210 value) at the Ko Olina Golf Course on Oahu, Hawaii via GolfSwitch. Here’s a picture of me at Ko Olina trying to avoid their water(fall) hazard. You know I was going to get my value out of that $450 annual fee! If I travelled more, I could’ve gotten more usage out of the lounge access, but that’s all I could manage this year. In order to get the 1.6x value, you need to book while you have an active Citi Prestige card. The flight itself can be scheduled far ahead of time. 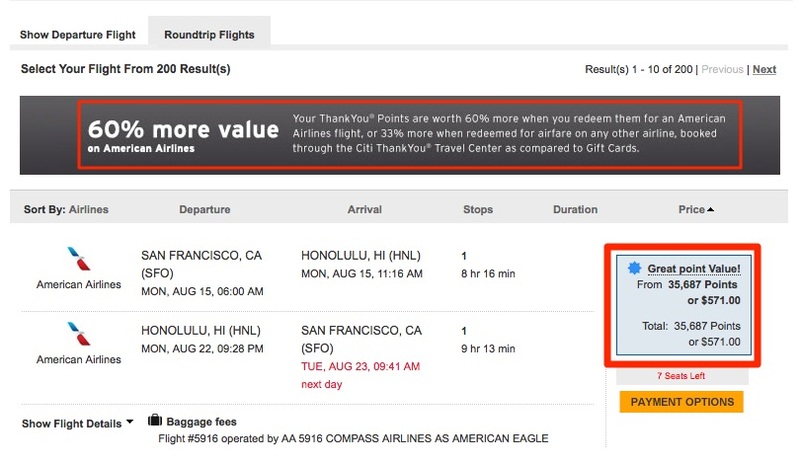 Otherwise, you can still keep the ThankYou points with another linked valid ThankYou card (no annual fee options available), but you won’t have the improved American Airlines redemption option. Quick math confirms the 100 points:$1.60 value ratio. 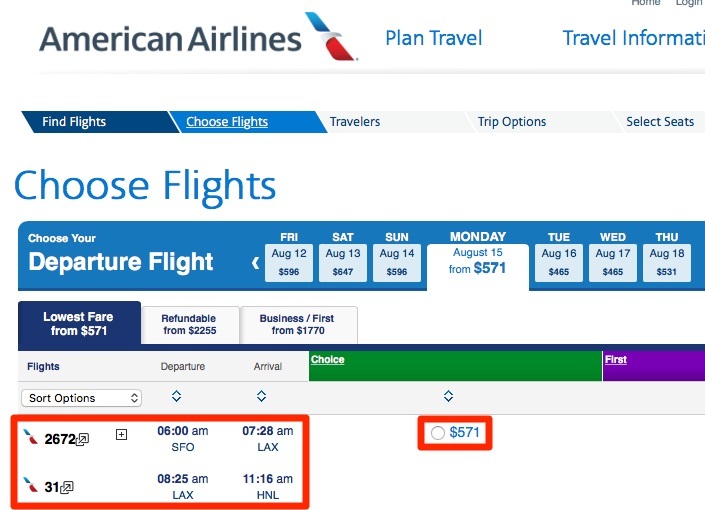 In fact, for another route the Citi Travel center actually showed an additional cheaper flight option with a stopover, while AA.com only showed the more expensive, direct flight. What if you don’t have enough points to cover the entire flight? Use the Points + Cash option. Citi allows you to split the cost up. You can use up every ThankYou point available at the 100 points:$1.60 value ratio, and then pay cash for the remaining amount. For example, let’s say the flight you want costs $200 and you only have 10,000 ThankYou points. With your Citi Prestige card, you can book the flight for 10,000 points ($160 value) and $40 cash. Any leftover cash amount can be charged on the Citi Prestige and thus be covered by the $250 annual airfare credit (it doesn’t have to be used up all at once either, and applies to any airline). Next: Vanguard Target Date Retirement Funds: Embrace Your Inner Ronco Rotisserie Oven!